(Natural News) If you’re a fan of vegetables, a recent study by researchers at Dalian University could give you another reason to keep on eating them: In their recent study, the team found that a quercetin, a compound found in many types of vegetables, has anti-cancer properties. The findings, published in BMC Complementary and Alternative Medicine, was the result of a comprehensive analysis of the anti-cancer ability of quercetin using a cell line for retinoblastoma. Its ability to affect retinoblastoma (RB), in particular, could be a silver lining for people with the disease. While retinoblastoma – a form of cancer that begins in the lining inside the eyes – is rare in adults, it is one of the most common forms of eye cancer in children. In the U.S., up to 500 new cases of retinoblastoma are reported each year. Earlier studies on quercetin have found that the flavonol, which is present in brightly colored plant-based foods, has exhibited anti-cancer activity against a broad range of cancers, including those that affect the lungs, cervix, prostate, breasts, and colon. Authors have suggested that this biological ability is because of quercetin’s anti-inflammatory, anti-tumor, and antioxidant properties. In particular, the mechanisms behind the flavonol’s ability to activate programmed cell death (apoptosis) prevent cell proliferation at its early stages and disrupt cellular activity. Quercetin was also found to chelate metals, prevent free radical formation, and inhibit xanthine oxidase and oxidation, thanks to its antioxidant properties. In this study, researchers used human Y79 RB cells in vitro to examine the molecular mechanism that makes quercetin’s anti-cancer property possible. Multiple assays were done to determine the effect of quercetin in Y79 cells. This included flow cytometry to evaluate cell cycle distribution, apoptosis studies, and mitochondrial membrane potential; cell counting kit to assess cell viability count; and, western blot analysis to study protein expression. From the results, researchers found that quercetin negatively impacted the cell viability of Y79 cells, causing an arrest during the initial stage of the cell cycle, which indicated its ability to inhibit the rapid spread of cancer in the body. This was done by reducing the expression levels of cyclin-dependent kinase (CDK)2/6 and cyclin D3 and by increasing the levels of both CDK inhibitor proteins p21 and p27. Quercetin also mediated in apoptosis by activating both caspases-3/-9, while it degraded mitochondrial membrane potential in Y79 cells. It’s not hard to fill up on quercetin: It’s usually found in plant-based foods that are rich in dietary fibers, vitamin, minerals, and other antioxidant compounds. Here are some great sources of quercetin. Capers – The brined flower buds of the Capparis spinosa have 173 mg of quercetin in every 3.5 oz. or 14.8 mg per tablespoon. Use it in pasta, dips, or sauces. However, capers are high in sodium, so rinse them thoroughly before using. Onions – Despite making you cry, all types of onions are great sources of quercetin. It’s alright if you like them raw or cooked, but make sure that they’re fresh. These bulbs can lose half their quercetin content if they’re stored for over a week. Fruits – A rule of thumb: Dark red or blue fruits are your best bet for quercetin. Examples include cranberries, black plums, and blueberries. Other sources include chokeberries, blackcurrants, apples, and cherries. It’s best to eat these fruits raw, as they lose a significant amount of quercetin when they are exposed to heat. 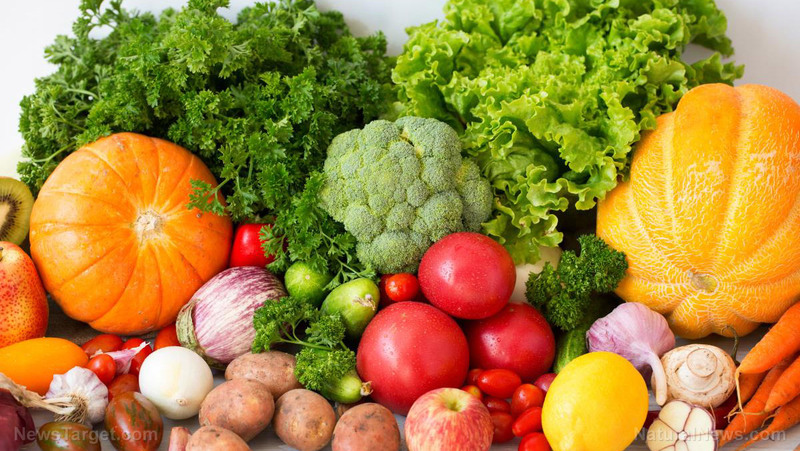 Vegetables – You can never go wrong with vegetables, but those with the highest content include hot green chile peppers, red leaf lettuce, raw kale, and cooked asparagus. Other notable vegetables include romaine lettuce, chicory greens, raw spinach, sweet peppers, snap beans, and raw broccoli. Learn more about the health benefits of quercetin at Phytonutrients.news.